Fenerbahce winning in the Turkish Cup may not be particularly noteworthy, but what was memorable about their game on Thursday was the debut of a player who is blind in one eye. 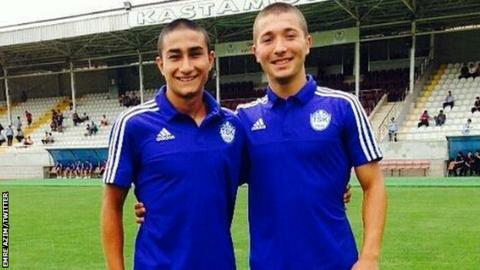 Emre Azim, 18, came on for Tuzlaspor against Turkish giants Fenerbahce in the final few minutes. Fenerbahce won the game 1-0, with on-loan Liverpool winger Lazar Markovic scoring late on. While rare, it is not unknown for a footballer who is sightless in one eye to play professionally. Northern Ireland and Rangers forward Dean Shiels had surgery to remove his right eye in 2006, having damaged it in a domestic accident when he was eight years old. Housewarming horrors & a new Neuer?